On a cold wintery night Peter and Isabelle Martel hooked up a team of horses and made the trek to North Battleford where Pet came into this world on February 19, 1936. Pet was the firstborn, and the family grew to include June Martel, Kathy Gaudry (Robert), Rod Martel (Ellen) and Sandra Fontaine (Bob), and family included more than 20 foster children that Isabelle took in over many years. 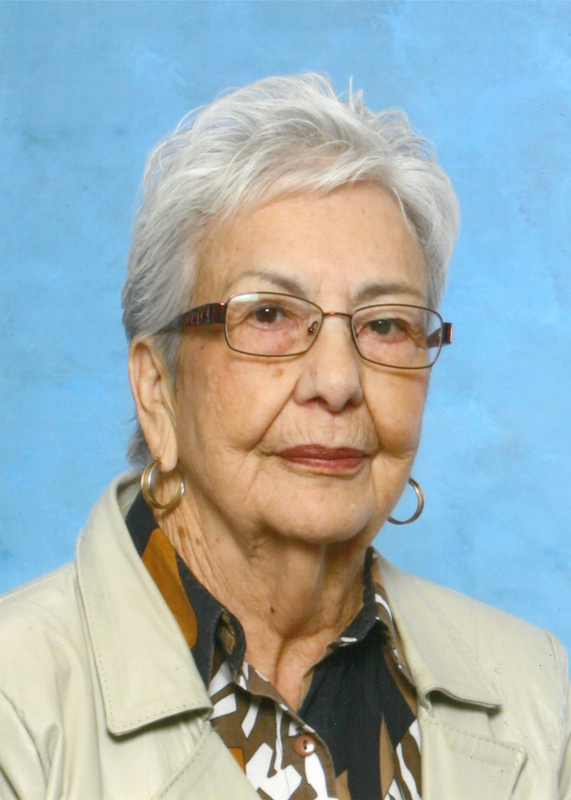 Pet graduated from Nursing School in 1957 as valedictorian of her class. In 1958 she married Don Lendsay, and they had four children; son, Kelly (Shiela) Lendsay and family; daughter, Dawne (Felix) Thomas and family; daughter Dana Lendsay; and son Kirby Lendsay. She was predeceased by her husband, Don in 1981, her parents and her sister June. Education, family and community were important to mom. She loved playing canasta and kaiser into the wee hours of the morning and dancing in the family home or the Rosthern Ukrainian Hall. Aquadeo Beach was the second home for our family spending summers swimming, boating and golfing. Mom retired in 1986 and spent winters in Mazatlan where she fell in love with the culture, foods and people. Her life will be celebrated on Friday, December 23, 2016 at 11 A.M. at St. Odilon Roman Catholic Church, 3004 Saskatchewan Street, Rosthern, SK, followed by lunch. In lieu of flowers donations can be made to the Canadian Cancer Society or Kocihta Charity contactus@kocihta.ca (helping indigenous youth discover their human resource potential including youth with disabilities.) Arrangements are in care of Funk’s Funeral Home, Rosthern, SK 306-232-5245, http://www.funksfuneralhome.ca. We know time has passed since our friend Yvonne (Pets) passing and we have had our own trials and tribulations during this time, but we just want “Pets” family to know we never will forget her. She was a great friend with a great smile. Please accept our most sincere sympathies. May the Lord wrap His loving arms around you and give you all comfort. Love you all. My heartfelt sympathy to all of Pet’s family. I always admired her love of life. Praying for strength for all of you! Dawne and family, My sympathies for the loss of your mother. I will remember your mother for her kind heart, generous and caring character. My condolences to the the family.